Separate units are also available. Prices on request & are negotiable. All the prices are subject to re-confirmation. Mody Group was founded in 1870 in the name of Babu Kakkal & sons during colonial rule. Established in Indonesia, in a very short span of time, it emerged as an international trader of textiles, spices etc. In 1972, the foundation of R B Mody & Co. took place and diversified it’s interests into chemicals, pharmaceuticals & writing instruments..
With the growing economy & increasing demand, we changed our perception, vision & diversified our manufacturing base to Rajkot & Kolkata. Today, we, being a client- centric organization, we are able to offer our customers with wide range of variety of ball pen machinery and their raw materials. Ø Spare parts of Machines. Ø Raw Material of Use & Throw Ball pens. Ø Manual direct filling ball pen making machine. Ø Barrel making extruder machine. Ø Semi- automatic Direct filling ball pen making machine. 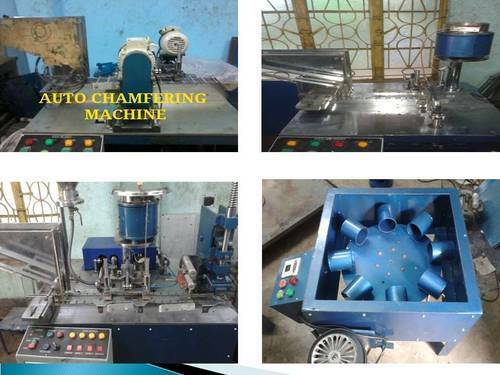 These machines and pens offered by us have a wide demand in the domestic market as well as in the international market for their smooth working and durability. Our products are renowned for their quality, durability and the design range that we provide. They are popular choice of our consumers because of the writing comfort and their cost effectiveness at the same time. We place sincere attention to offer the best quality of end products to our buyers. To meet our customer’s satisfaction parameter, we make sure that leading edge technology is used and employ most dedicated professionals. These pens are manufactured from high – grade materials which are obtained from authorized vendors of the industry. Premium quality ink, barrel, adapter, cap and Tips are used to manufacture cost-effective pens. keeping in mind the demands of our customers, we offer the “RAW MATERIAL OF DIRECT FILLING BALL PEN and RAW MATERIAL OF CRYSTAL BALL PEN AND ALL TYPES OF FINISHED CRYSTAL AND METAL BALL PENS” in various different body colors & features to suit our customer’s need. Ø Two line transparent barrel / Spiral barrel.